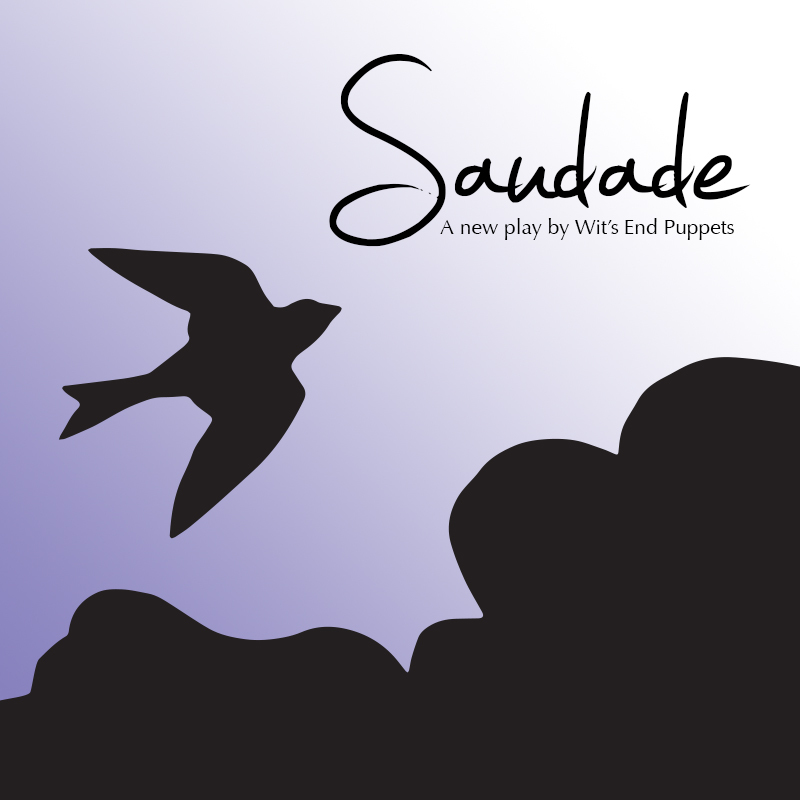 Baltimore artist Katherine Fahey designed the puppets and crankie illustrations for SAUDADE. We asked her a few questions about her process and inspiration. Enjoy! 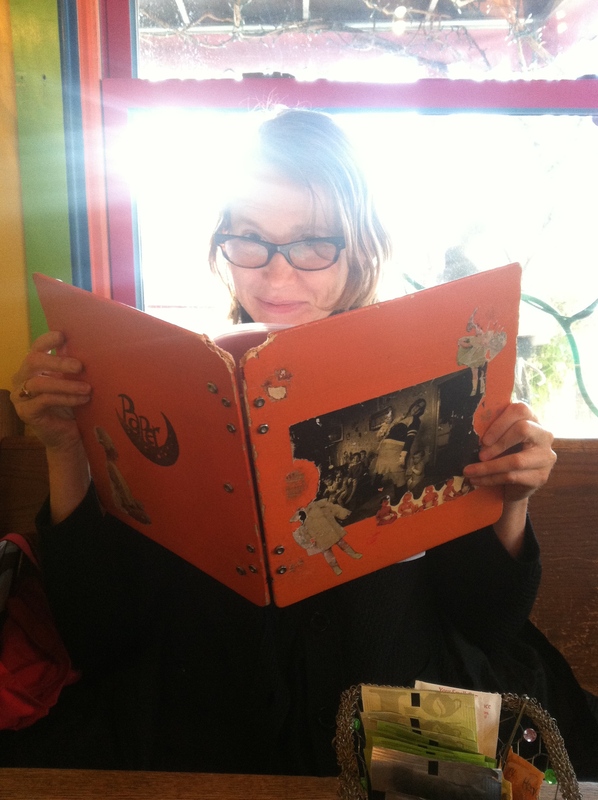 Katherine’s first crankie, made for Wye Oak video, Fish. 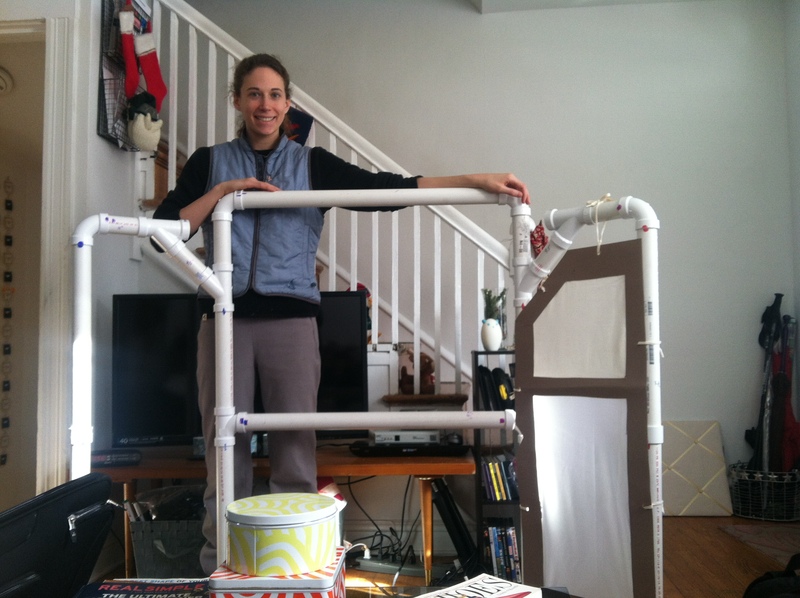 Cecilia Cackley: When did you start building crankies and what draws you to them as an art form? Katherine Fahey: I started making crankies in the beginning of 2011, when I was making a music video for Wye Oak called Fish. 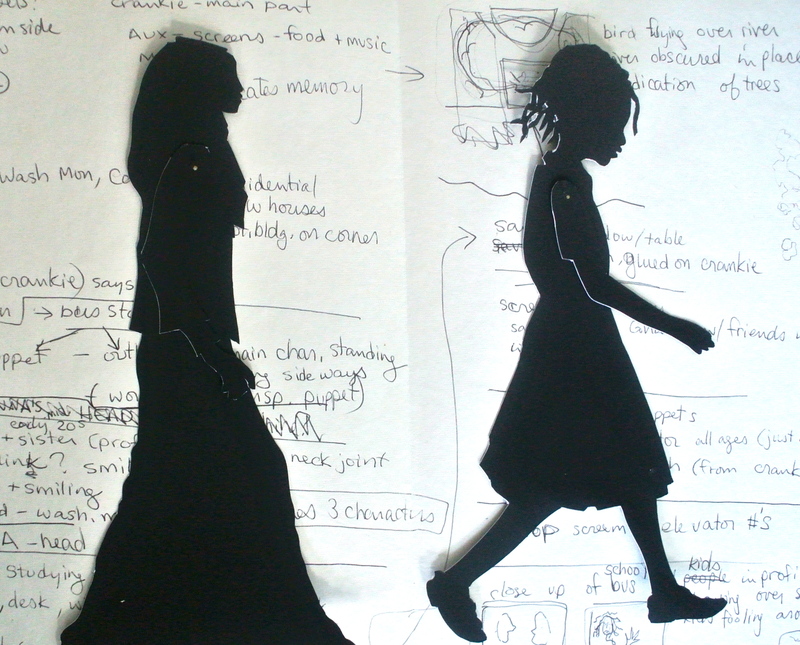 My first crankie was made as part of a larger shadow puppet piece. That was when I started to see for the first time that I could perform with my artwork. This was exciting and frightening to me. I have always admired the connection performers have with their audience, but I am a pretty shy person. 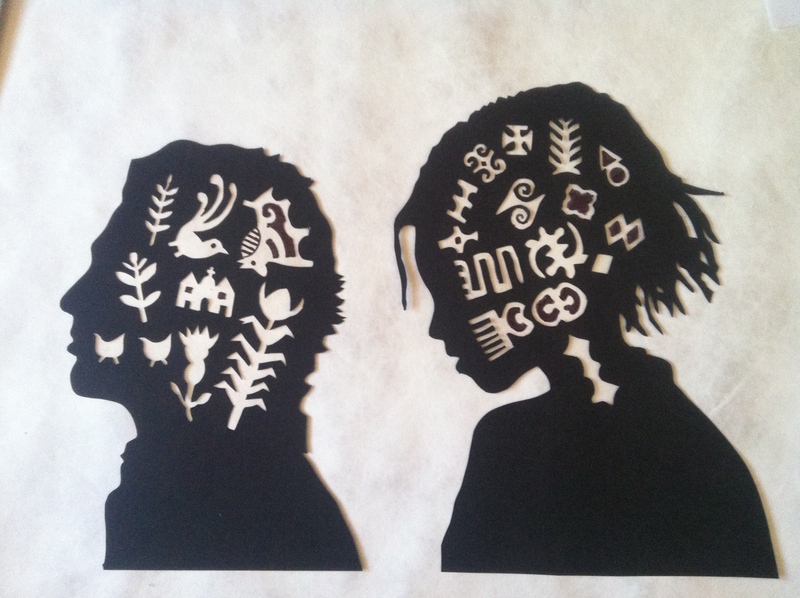 I was excited to be able to combine my passions for shadow puppetry, paper cutting , music, and storytelling together, but wasn’t so excited about getting up in front of people. CC: Who are some of the artists that inspire you? KF: My creative community mostly. All the folks at Black Cherry Puppet Theater (Valeska Pupoloh, Michael Lamason, Lisa Krause, Jenn Strunge, Kevin Sherry, and Porch Puppets), Erik Ruin, Nanaprojects , William Schaff, Anna Robert Gevalt, Elizabeth Laprelle, and all of the other crankie makers, paper cut artists, story tellers, and puppeteers out there. 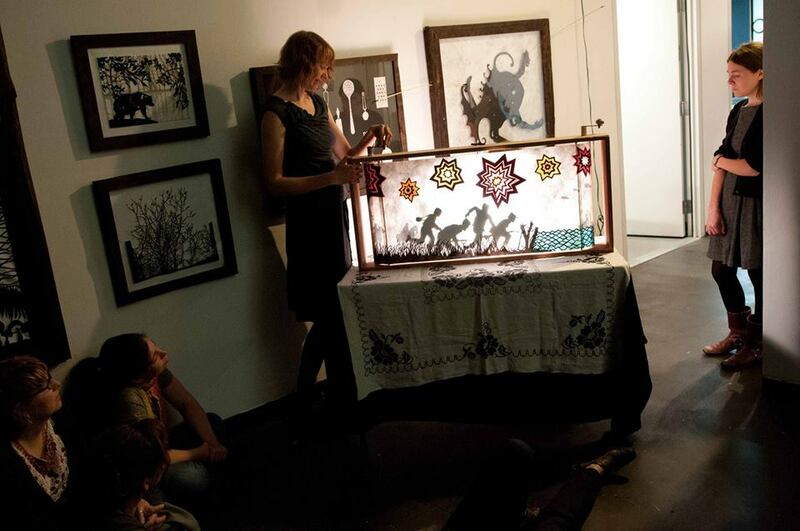 Katherine performing one of her crankies at the opening of her paper cut and shadow puppet exhibit at The Creative Alliance in Baltimore, with Anna Roberts Gevalt and Elizabeth Laprelle. CC: What were some of the challenges in designing Saudade? KF: I have a lot of experience working with other artists, but have become accustomed to just coming up with a show on my own from start to finish. It was different to have to stop and ask Cecilia what she meant and try to see things through her eyes. We spent a good amount of time editing scenes together so that they could be translatable to shadow puppets and a crankie. 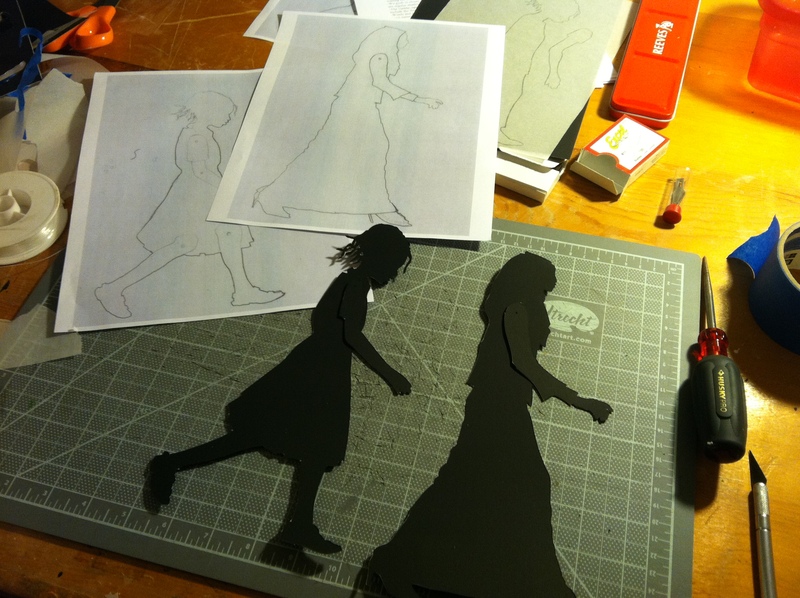 I was eager to cut things out and assemble things, so I had the get used to just drawing and coming up with ideas. I had to wait to see the final product, but then it was exciting to see the pieces finally come to life. Puppets from SAUDADE on Katherine’s sketchbook. CC: What was your favorite scene or character to draw and why? KF: I enjoyed exploring the aesthetics and folk art of the various cultures and incorporating this into the designs. My favorite puppets are the heads. 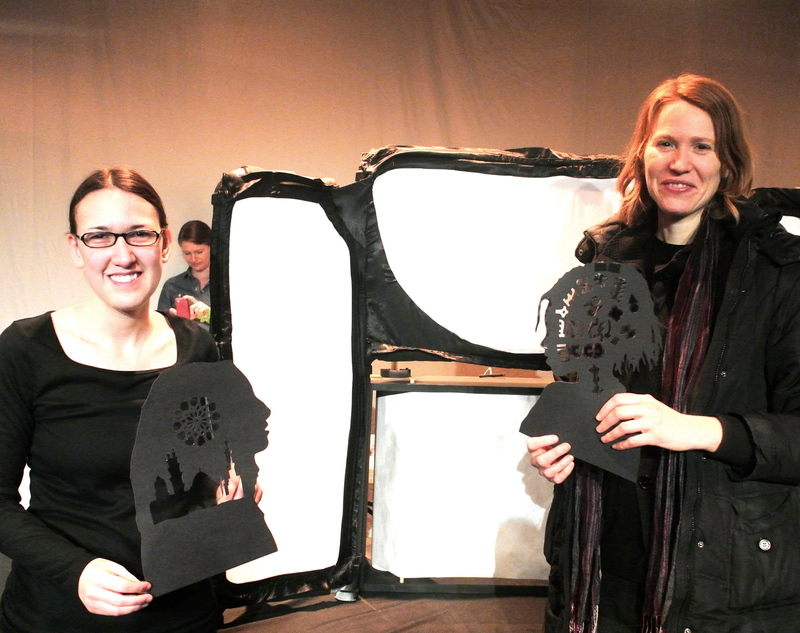 Large head puppets from SAUDADE, designed by Katherine. Katherine Fahey (right) and Cecilia Cackley at the opening of SAUDADE in D.C. Calling all Baltimore puppet fans! Anyone looking for a fun, unique (and cheap!) night out this Saturday? 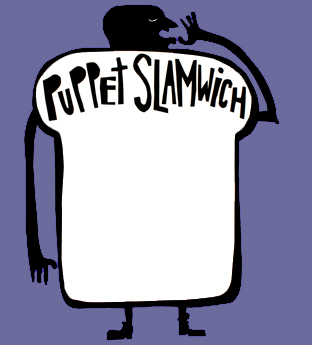 Look no further than the Puppet Slamwich being presented by Black Cherry Puppet Theater in Baltimore! 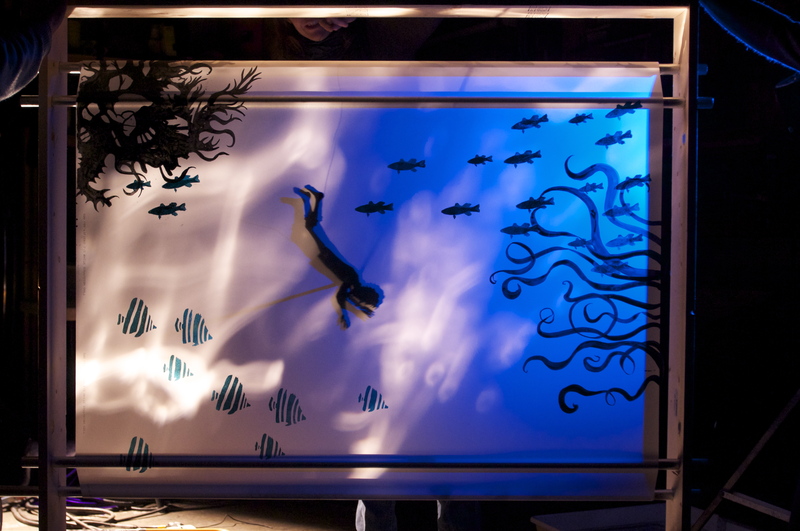 For those who have never experienced this kind of event, a puppet slam is a night of short acts by various puppeteers, sometimes with music, that allows performers to experiment with new and different material. 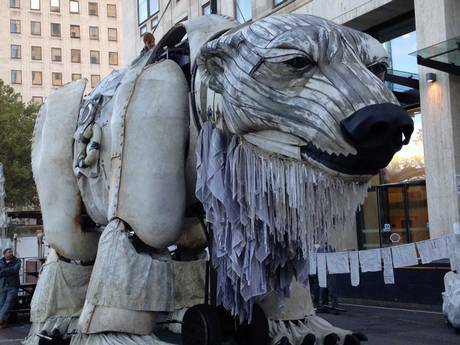 For puppeteers who primarily work in children’s theater, this is often a venue for more adult-oriented content; for others it’s an opportunity to workshop unusual ideas. We will be presenting an excerpt from the first half of The Amazing and Marvelous Cabinets of Kismet, so if you can come, you will be able to see the FIRST EVER glimpse of this brand new show. Black Cherry is located at 1115 Hollins St. Baltimore MD and directions can be found on their website here. Tickets for the event are $7 and can be purchased at http://www.brownpapertickets.com .